Home > News > News > MUSIC OF THE NIGHT – Ends Friday! MUSIC OF THE NIGHT – Ends Friday! – Wednesday, June 29 at 3:00 p.m.
– Thursday, June 30 at 3:00 p.m. and 7:30 p.m.
– Friday, July 1 at 7:30 p.m.
AMT’s multi-talented Cast and Orchestra bring to life noteworthy songs from many of Andrew Lloyd Webber’s extraordinary shows, including Cats, Evita, Jesus Christ Superstar and The Phantom of the Opera. 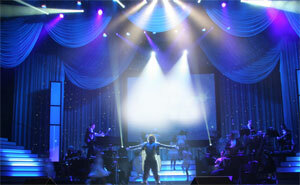 MUSIC OF THE NIGHT: The Songs of Andrew Lloyd Webber ends this Friday. Don’t miss your chance to experience this incredible show … Click here to purchase your tickets now!